I find it very hard to plan anything these days, being exiled in Cork for the winter might be having that effect on me or maybe it’s the time of year. So when I was asked to launch the Rose of Tralee festival last week I didn’t know where to look or what month I was! We were out on the Jennie Johnson a replica famine ship that spends most of her time now dock on the Liffey just inside Dublin port. It’s was freezing (nothing in comparison to what ye experience in the States, but it was Baltic) Nicola McEvoy the current Rose was there and in great form, we were joined by Minister Leo Varadkar who was on hand to launch a message in a bottle to all to come to home with The Gathering. The Rose of Tralee being the original gathering. This was my line for the press on the day. I was doing fine until I heard the Minister saying the same thing. I’d love to say he overheard me saying it first and he decided to copy me! Anyway it all for the common good and who said it first is irrelevant! It’s funny really that people think of the Rose of Tralee as just the two TV show that fall on air at the end of summer. The truth being told Nicola the 2012 Rose was no sooner crowned when the preparations for this year got under way. When you think of it all the county and local roses much have their night first and after that we have the regional selections must happen again in June. Most of the local selections will be happening over the next few months and someone told me the other day that the Denver Rose was selected before Christmas, there seems to be no stopping them in Colorado! So fair play to all those local committees who work so hard all over the world to keep one of our biggest assets alive and very well kicking. 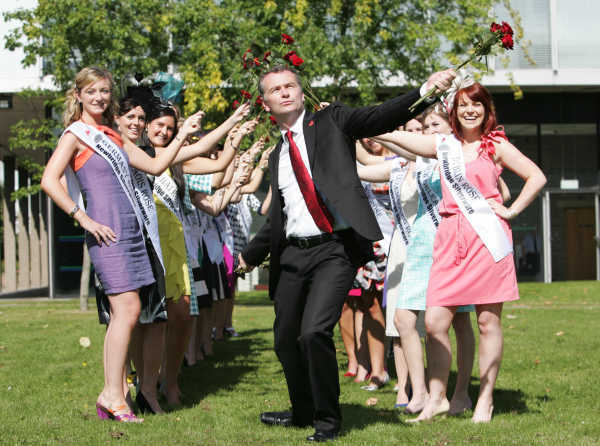 The Rose of Tralee is one of the biggest threads that link us Irish together. The fact that it’s one of the top rates TV shows of the years shows the interest here at home. It’s also a thread that picks up new links. This year for the very first time we’ll have a Rose from Bahrain, this of course show that we are showing that our wings are forever spreading to new places where the Irish are setting up camp. It might have been hard to imagine a Bahrain Rose back in the 1950’s when the rose festival was set-up, a definite sign of the times. New York always had a great connection with the Rose of Tralee and a good few winners over the year also. I’m heading over in the middle of this month but not for the Rose selection, but for something very similar. The Bachelor of New York is on and I’ve been asked to host the event. I’m really looking forward to it was what a great excuse to hit the Bronx. This is of course for the Aisling Irish centre that does fantastic work for the Irish community as you probably know if you’re on this website. This night will be more or less the same as the Rose only we’ll be swapping lovely ladies for hunky men and the conversation might not be as lady like, or will it? It should be a brilliant night with a bit of music and madness mixed in together, so if you’re at a loose end come along!